Introducing the Huda Beauty Rose Gold REMASTERED Eyeshadow Palette; a transformed version of Huda's groundbreaking first edition. 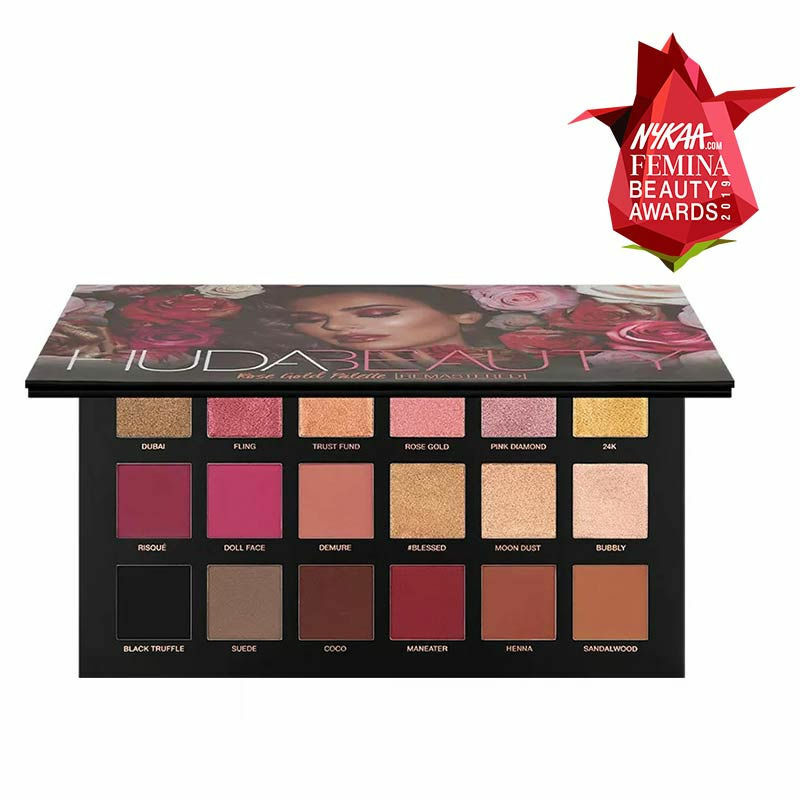 This palette is inspired by Huda's obsession with the absolute, most necessary colors you need on an everyday basis. Rose Gold REMASTERED has made a comeback with creamier, more intense pigments and combines 18 luxurious, talc free eyeshadows in four key textures. It includes 8 buttery mattes, 8 melted metal shadows, 1 wet & dry black shadow, and 1 pressed pearls shadow. The REMASTERED palette features redesigned shades with a softer color harmony and the most insane metal fondant for your lids. 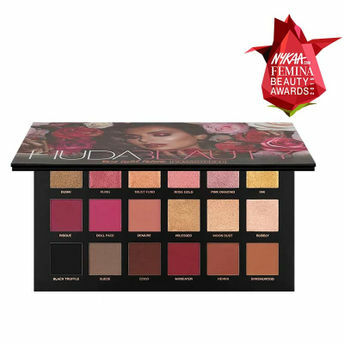 The outer packaging showcases Huda's favorite look and includes a large mirror to perfect your makeup on-the-go.